Pricing unquestionably affects sales. But what exactly is the “right” price? Are you charging enough? Too much? Is it time to raise your prices? Are you constantly being pressured for discounts? 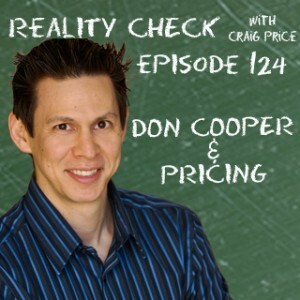 If you struggle with any of these issues, check out my appearance on the Reality Check Podcast with Craig Price. In this 30-minute interview, Craig and I discuss the challenges so many professionals and business owners face when it comes to pricing their products and services. While you’re at the Reality Check Podcast site, be sure to download some of Craig’s other fantastic interviews with a wide variety of business experts. And for Craig’s contrarian insights on business and personal success, follow him on Twitter. 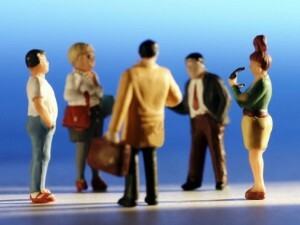 Networking is one of the best prospecting tactics around. Like any tactic, however, it can be used effectively or poorly. Poor networking isn’t just a waste of time, it can actually hurt your sales, because over time, you’ll develop a negative reputation. Like other marketing and prospecting tactics, networking requires consistency. The more you do it, the better your results. If you’re not actively building your network, you’ll lose sales to the competitor who is. But just going to events isn’t enough. You need to network strategically by attending the right events—the events that your ideal prospects attend. Nearly everybody has a fear of talking to strangers. (Thanks for the incessant warnings, Mom and Dad.) It’s so much easier to talk with your friends at an event. That isn’t what you’re there for, though. Networking is not selling. Let me repeat that: Networking is not selling. Nobody wants to meet somebody at an after-hours mixer and immediately be given a sales pitch. It’s the kind of thing that gives salespeople a bad name. If you don’t get a card from the people you meet, you can’t follow up with them. You might as well have not met them in the first place. And when you ask for a card, you had better have one to exchange. Few things say “unprofessional” more than not having a card at a networking event. One thing that does say “unprofessional” more than running out of cards, is getting slovenly drunk at a business event. If you’re looking to ruin your reputation and become a laughingstock, getting hammered at a networking event is a sure-fire way of doing it. To a lot of salespeople, business owners and professionals, networking ends when the event does. Savvy businesspeople, however, know that networking is about meeting people and building relationships. And building relationships occurs after the event itself. If you’re not following up, you’re not really networking. A little planning, a little courage and a little practice can make a huge difference in your networking. Which can lead to a huge increase in your sales. We’ve all been there. (And if you haven’t yet, you will at some point.) Whether because of our mistake, or through no fault of our own, a customer is angry. Beyond angry—furious! And whether you’re a salesperson, a customer service representative, or the business owner, you get the pleasure of dealing with it. 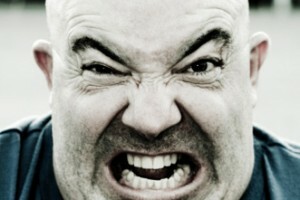 How do you calm someone who is yelling, screaming, even threatening a lawsuit? How can you repair a relationship that seems hopelessly damaged? Listen to my appearance on Breakthrough Business Strategies Radio with Michele Price. In this seven-minute segment, I share exactly what to do when confronted with such a nightmarish situation. You’ll discover how to calm a person down, how to prevent angering them further, and how to salvage—and even strengthen—the relationship. To learn more about Michele Price and listen to her interview other business experts on Breakthrough Business Strategies Radio (which I definitely recommend), check out WhoIsMichelePrice.com.